After having addressed some of its more pressing and manageable issues mentioned in last week’s article, Armenia began striving toward larger and more formidable goals with momentous long-term implications. One of these goals has been to become a part of the Eurasian north-south transport corridor by creating a unified nationwide transport network stretching the length of the country. The first of two components of this network is the creation of a modern uniform “North-South Highway”, or Corridor, linking the nation. The construction of such a highway was launched in September of 2012. In a four part series, The Armenite’s Mher Almasian is analyzing Armenia’s transportation infrastructure. The Eurasian north-south transport corridor describes a potential route to link India to Russia via Iran and Central Asia. The goal is catalyze trade across Eurasia by linking expansive markets while significantly reducing transport costs. However, due to the volatile state of most of the region, there has been limited progress made since the initial signing of an agreement between India, Russia, and Iran in September of 2000. 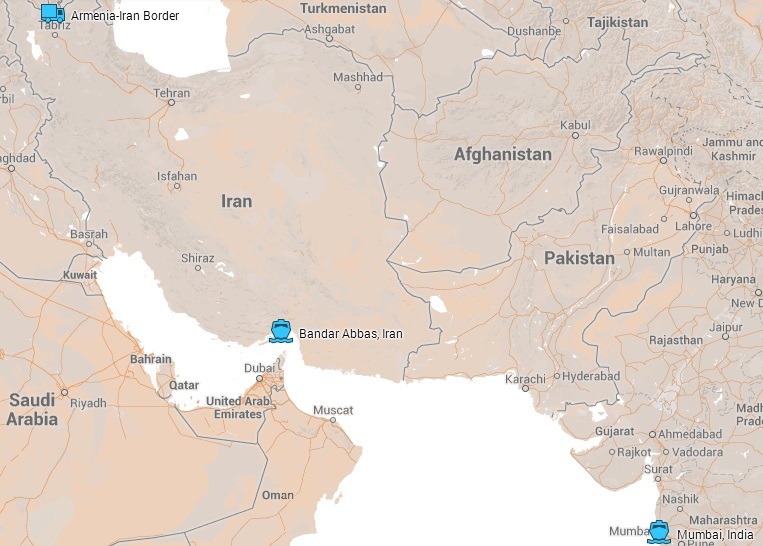 The envisioned route would consist of goods travelling from Mumbai, India to Bandar Abbas, Iran by sea, and then through Iran and the Caucasus to Russia by road and rail. Presently, the lack of infrastructure in the Caucasus is the largest factor stopping the implementation of this route. Due to the lack of such a route, goods from India travel a roundabout route through the Suez Canal to reach Russia and Central Asia. Armenia, which has become involved in the discussion in recent years, provides the shortest route for such a corridor. However, one of the requirements necessary to make this a reality is establishing the modern, nationwide North-South Highway linking Iran to Georgia. Successfully becoming part of this network would significantly alter the landscape of the Armenian economy: it would greatly reduce the cost of doing business in Armenia for foreign investors by reducing transport costs while introducing vast new markets. This would essentially dissipate many of the effects of the joint Turkish-Azerbaijani economic blockade, and further remove Armenia from economic isolation. The North-South Corridor is a 345-mile (556 km) highway being implemented in five phases and expected to cost one billion dollars. Its goal is to link the nation through a transnational roadway. The important and high-volume Yerevan-Gyumri section of the highway will consist of a four-lane highway, while all other sections will be built with the potential to be expanded as future traffic demands change. The unprecedented project is financed through loans from the Asian Development Bank (ADB), the Eurasian Development Bank (EDB), and the European Investment Bank (EIB), as well as the annual budget of the Republic of Armenia. 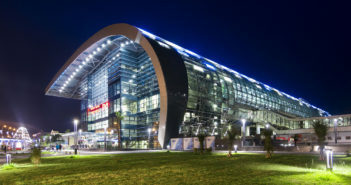 Its construction is currently managed by Spanish construction giant Isolux Corsan, which won the project bid for the first two phases in spring of 2012. Construction began in September of 2012 with the launch of Stage 1 consisting of the 31-mile (50 km) Ashtarak-Yerevan-Ararat road which is now in its final phase of construction. Stage 2, consisting of the 26-mile (42 km) Talin-Ashtarak section, was launched last year and is now in its second to last phase. The third stage, which consists of the 28-mile (45 km) Gyumri-Talin road, is in the initial planning phase. It is arguably the most important sector due to the poor existing conditions of the Shirak roads during the winter months. Further financing will be secured for construction of sectors four and five connecting to Iran and Georgia, respectively, after satisfactory implementation of the first three sectors. Besides positioning Armenia at the center of this global route, the successful implementation of the national North-South Highway has serious implications for trade within Armenia and its immediate neighbors. 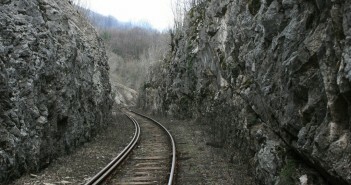 Due to goal of the Soviet Union to loosen national boundaries and link the various republics of the USSR, many of the roads and railways intended to connect the regions of Armenia travelled through Nakhichevan and parts of Azerbaijan. The blockade imposed on Armenia by Azerbaijan after the Artsakh War immediately made all of those routes useless. 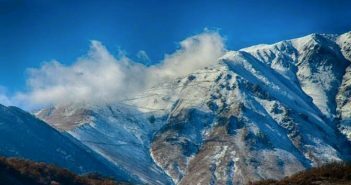 This meant that following independence, a previously three-hour trip originating in Iran from Meghri to Yerevan through a highway in Nakhichevan was transformed into a nine- to eleven-hour trip circumnavigating Nakhichevan. This has transformed many of the once prosperous border regions that sat along thriving routes into isolated and impoverished areas with declining populations disconnected from major population centers. Furthermore, it has made trade across the regions of Armenia, and to Iran and Georgia limited and impractical due to the cost of taking goods from major population centers through these border regions. However, the successful implementation of the first transnational highway tailored to the need of Armenia specifically would reconnect many of these regions to major cities and rejuvenate local economies, while facilitating nationwide trade, as well as trade with Georgia and Iran. Moreover, this project would merge many of the smaller projects Armenia has already implemented. This includes connecting many of the rural roads constructed under the Lifeline Road Improvement Project funded by the World Bank, as well as the 50-mile (80 km) Meghri-Kapan highway, to this central highway, and uniting much of Armenia proper. Despite the progress being made, the process has been far from flawless. All three active stages are currently behind schedule and the project as a whole is not expected to meet its 2017 completion deadline. This was compounded by a recent unplanned winter halt in construction due to various issues. Isolux Corsan has faced criticism and penalties due to violations and mismanagement. Opposition figures in Armenia have raised the issue of whether further financing should be provided for the latter stages of the project given the issues with the first stages. However, despite these shortcomings, construction has now restarted as the issues with Isolux Corsan have been addressed and new loans have been granted. Though the project is indeed behind schedule, construction continues as Stages 1 and 2 approach completion. In fact, these shortcomings are not unexpected in road construction and are certainly not unique to Armenia. The world famous American Interstate Highway System, launched in 1956, was expected to be constructed in 12 years and cost 25 billion dollars. Instead, it took 35 years to complete and cost 114 billion dollars. That said, it is of utmost importance that this project continues with minimum delays or issues with quality control. Unlike post-World War II America, Armenia is in a much more urgent situation today, making this project exponentially more critical. If completed to the design standards, the project is expected to create 1,000 jobs, while saving each passenger $2.5 per hour of travel as well as decrease cargo transport costs by $1 per hour per ton of cargo. Armenia’s North-South Highway would revolutionize the nature of travelling across the nation and the access to currently isolated border regions. This would mean a significant increase in trade across the regions of the country and its neighbors through an interconnected system of highways. Most importantly, it would position Armenia as the center of a powerful trade route, introducing it to large markets as well as to foreign investors, which would greatly reduce the effects of the economic blockade. Mher Almasian’s four part series on Armenia’s transportation infrastructure will continue by shifting its focus to railways. Mher, do you think that there will be stops and controversies arising from corruption? Or what about rising conflict in the southern border regions? Iran is banned from trade to the Western world – could this pose a problem for Armenia and trade with a country that is an enemy state of the U.S.A? Then has already been some delays in the process, and I wouldn’t be surprised if there were more before the project is completed. However, given the amount of scrutiny the government faces in regards to the project, it’s difficult to envision anyone attempting to get away with much without the public finding out. It is by no stretch of the imagination an easy task to put together such a project considering the geographical limitations of Armenia. Therefore some delays and errors should not be so unexpected. As far as the southern region: Armenia’s own southern region is highly secure thanks to Artsakh; without which Syunik would be a security nightmare and almost impossible to defend. There is not much of a threat from Nakhichevan either. In regards to Iran, even during the height of the standoff, America and the West had turned a blind eye to Iranian-Armenian relations because they understood Armenia didn’t have any other options. Now that Iran’s relationship with the West is slightly improving, I think there is even less to worry about. Hopefully relations between the two improve, because it would have a significant effect on Armenia’s economy. Moreover, even if there was Western scrutiny, Armenia doesn’t have a choice but to maintain good relations with Iran and Russia. Influence in the Caucuses is a secondary luxury for America for which they are willing to risk only so much. However, for Iran and Russia, the Caucuses is at their doorsteps, and they will risk everything they have to, in order to maintain a favorable situation. Thank you for responding and clearing that up. I look forward to part 3! Wonderful and intriguing write-up. It’s a pleasure to be able to find projects like this online. I look forward to reading much more. Thank you!